The expansion deal includes development of a new turret-independent secondary weapon system, installation of advanced visualization and display technology, and new training resources. 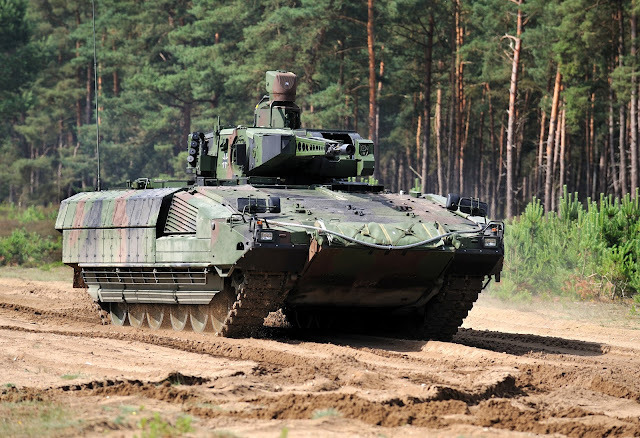 The turret-independent secondary weapon system, remotely controlled from the vehicle's rear fighting compartment, is for tackling threats at very close quarters without having to use the main armament. It will fire 40mm ammunition and has a maximum 400-yard range. "The new order includes sample integration, readying the system for full-scale production and fabrication of three TSWA prototypes," the company said in a news release. "The actual serial production order, in which the entire Puma fleet will be retrofitted with the weapon system, is expected to come in 2023." Other upgrades include changing the Puma's current black-and-white monitor and accompanying optics to color displays and adding an infrared searchlight to the rear of the vehicle.